Joyce Wycoff Connecting through Art: Creating a Culture of "Speaking Up!" I can do this, too! Thanks, Joyce. Becky ... we need to remind each other. My guess is we will be tested! 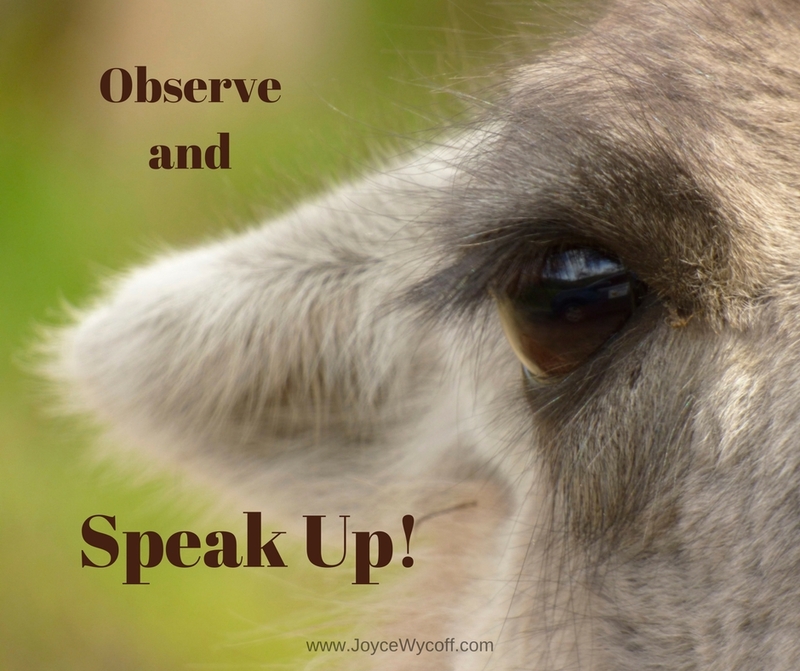 Thanks for summaring and sharing this post, Joyce. I am grateful that it spoke so directly to you, and keep up the good work you are doing bringing more light into the world. I love your website! Sky ... thanks for such a great prompt. I look forward to hearing more from you. I hope that the many on Facebook, think about those 6 habits. It would be a kinder world and not so divisive. Vivian ... thanks for your comments and I agree that we need to work toward a kinder world. There is such fear and anger in the world right now ... may we find ways to heal. Best to you and Ralph for the holidays and for 2017! Many hugs and much love this Christmas. Hola, Louise ... miss you!! Happy holidays and let's reconnect in 2017.